Rosie may seem quiet during the day, but at night she's a brilliant inventor of gizmos and gadgets who dreams of becoming a great engineer. 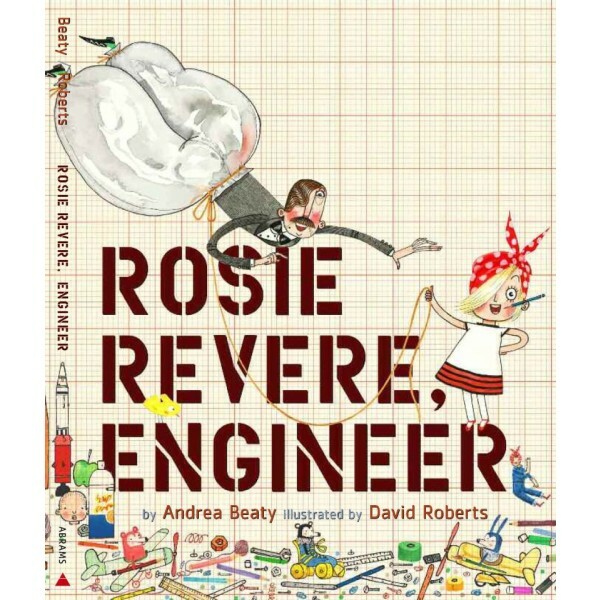 When her great-great-aunt Rose (Rosie the Riveter) comes for a visit and mentions her one unfinished goal -- to fly -- Rosie sets to work building a contraption to make her aunt's dream come true. But when her heli-o-cheese-copter doesn't fly but rather hovers for a moment and then crashes, Rosie deems the invention a failure. On the contrary, Aunt Rose insists that Rosie's contraption was a raging success. You can only truly fail, she explains, if you quit. Filled with illustrator David Roberts' fun and expressive artwork, this empowering story is full of great lessons about perseverance and dreaming big with a little history about women in aviation sprinkled in for good measure! 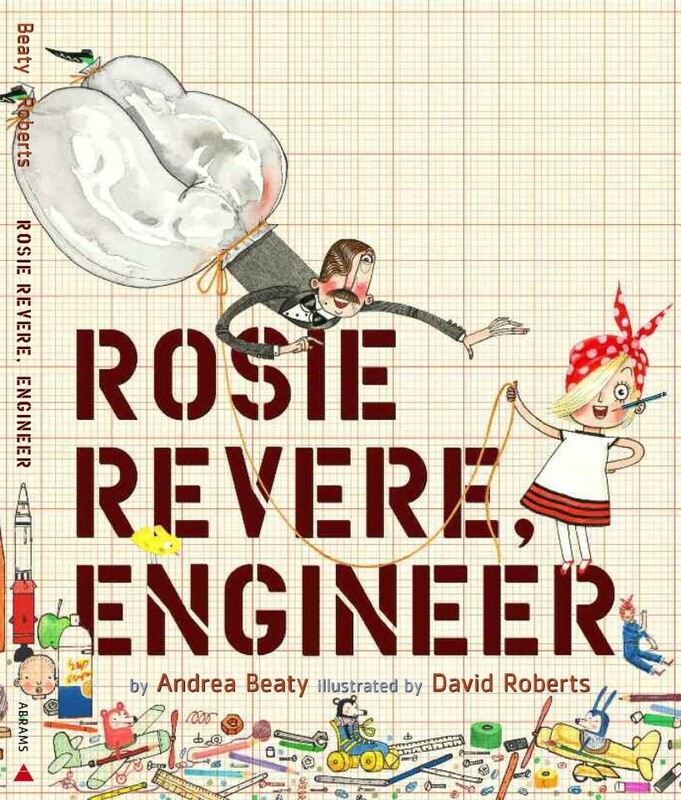 Budding engineers will want to check out Rosie Revere's Big Project Book for Bold Engineers, which includes a variety of activities that encourage problem-solving, creative thinking, and, of course, resiliency when things don't quite work as planned.